So I picked up some new swag last weekend and this week. 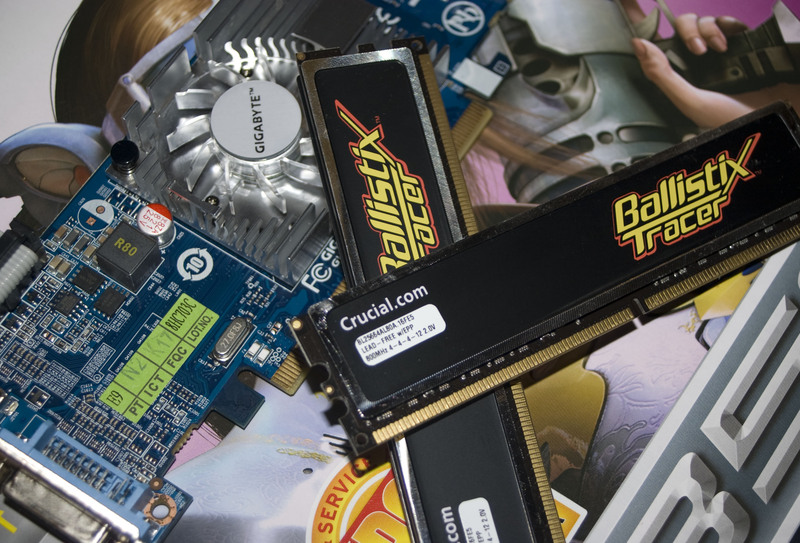 First on the list was an Asus 4350 for a low, low $69 and then got my set of Crucial Ballistix RMAed luckily the lady I bought my ram from was nice enough to swap it for me on the spot as I had rang ahead the day before. 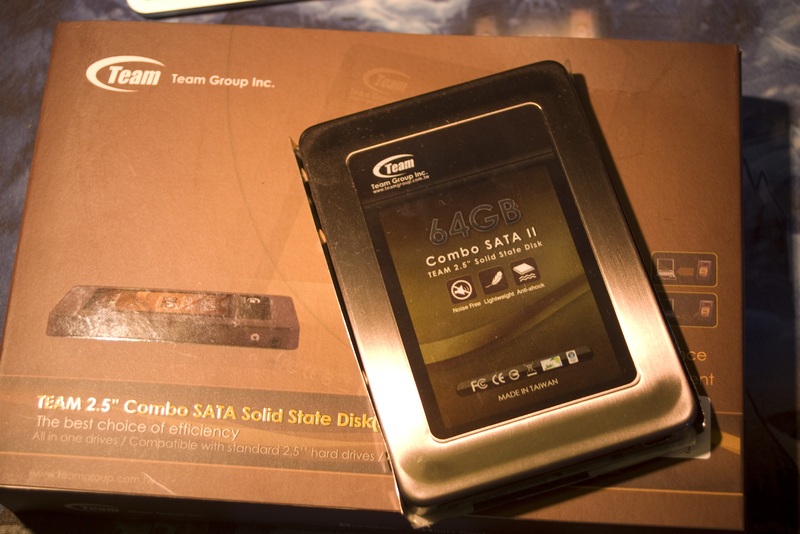 Second on the list is a Solid State Hard Drive that I had bought off the Overclockers Australia forums from MR CHILLED. The 2.5′ drive is manufactured by the Team Group Inc, runs dead quiet and extreamly fast. So far I haven’t done any testing with benchmarks as of yet but from what I’ve seen its quick. The main reason I wanted to buy the drive was to give Windows 7 Beta a spin, so armed with my ssd and an iso of Windows 7 Beta Build 7000 64 bit. I proceeded to install Windows onto my new drive, it proved painless to install and overal the installation didn’t take very long I would probably estimate about 15~20mins. Booting up Windows 7 was a really surreal exercise coming from many years of listening to hard drives spin up during boot up, specially the noisy 74gb Western Digital Raptor that my old Vista 64 installation that I’ve been using for the past year. What greeted me was Windows booting up in mare seconds and just the cooling fans spinning. 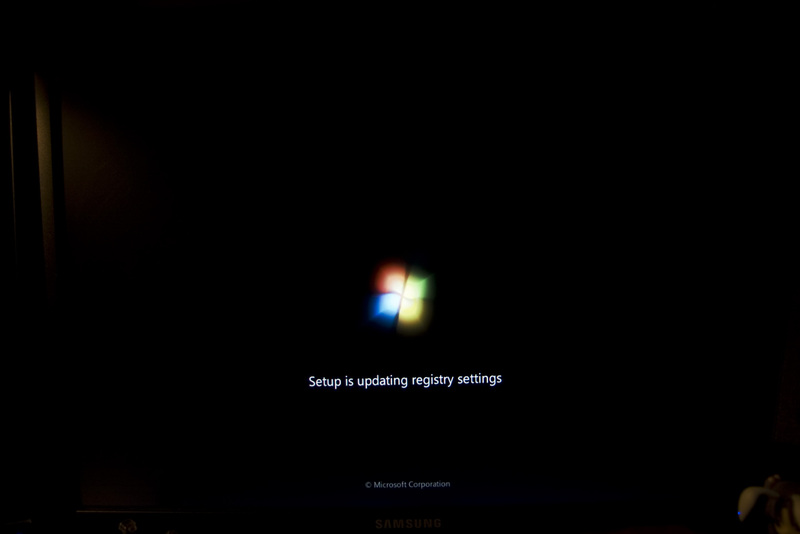 It’s still early days with the Windows 7 Beta but it’s shaping up to be quite good. Boot times are great, driver support is much better than Vista 64 with most of my stuff actually working; the only problem that I’ve noticed with the Beta is that it has issues with older USB devices which seems to cause it to crash, and a few minor networking issues. 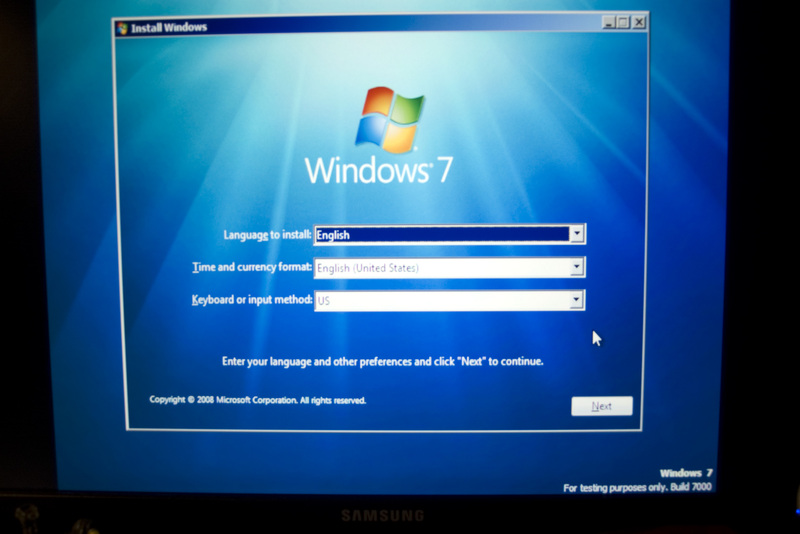 Windows 7 seems much more responsive that Vista in most cases and most software works on it. And what was the purpose of buying that 4350? To finally be able to hook a 22′ Dell E228WFP to my current setup of two Samsung 2243BWs. Here’s what my desktop now looks like.